Personally, I like limeade just as much as my lemonade. I think it’s a nice variation, and if you make it a sparkling limeade, it kind of reminds me of 7up. A super healthy and fresh version that you have never had before! 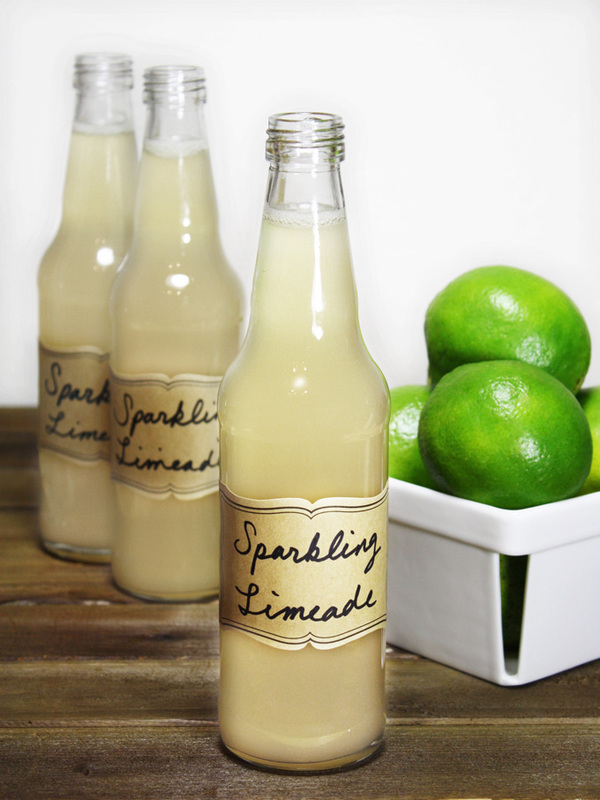 This raw vegan sparkling limeade is a perfect replacement for a soda on a hot summer day. It’s refreshing, sparkly, limey, oh so good. Citric acid helps you recover from exhaustion and sour lime contains more citric acid than a lemon. Lime also contains vitamin A, B, C, and minerals like potassium, magnesium, folic acid, etc. 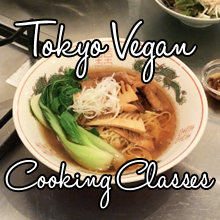 It’ll help you recover from the intense heat, and it’s super easy to make. Very important for summer times, because who wants to be stuck in the kitchen on a hot summer day? So, let’s get to right into it. First, I like to roll the lime to release their juices before I juice them. 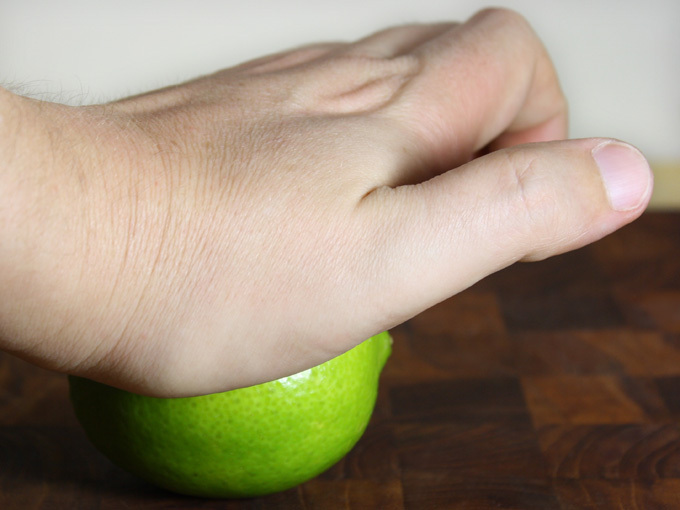 Firmly roll the lime with your hand to soften the lime. Juice the lime to get a 1/2 cup of juice. Mix together the lime juice, sparkling water (or regular water if you prefer it), and agave nectar. 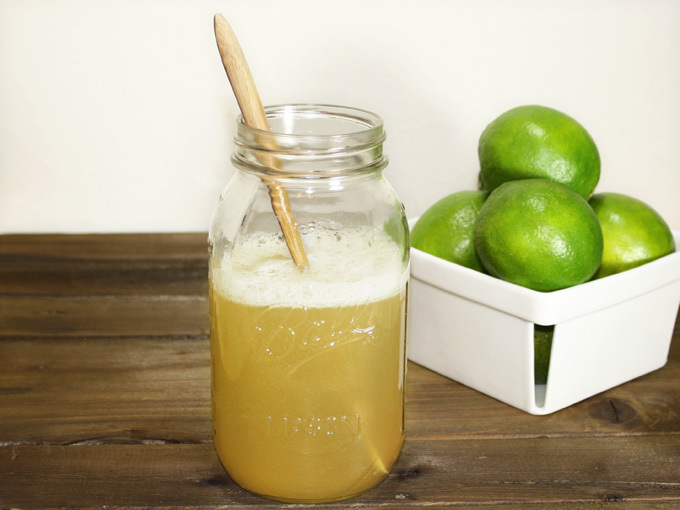 You have a sparkling limeade within minutes! Pour it over a glass full of ice, and garnish with some mint leaves and a slice of lime. So soothing on a hot summer day! I guarantee it’ll hit the spot. 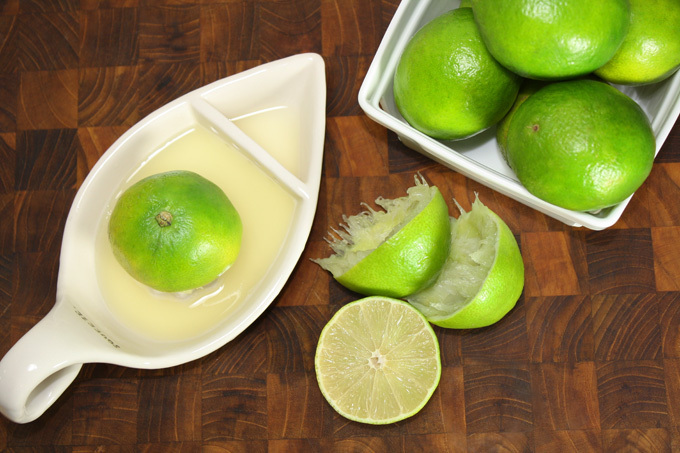 Roll the lime to release their juices before juicing them. Firmly roll the lime with your hand to soften the lime. Juice the lime. 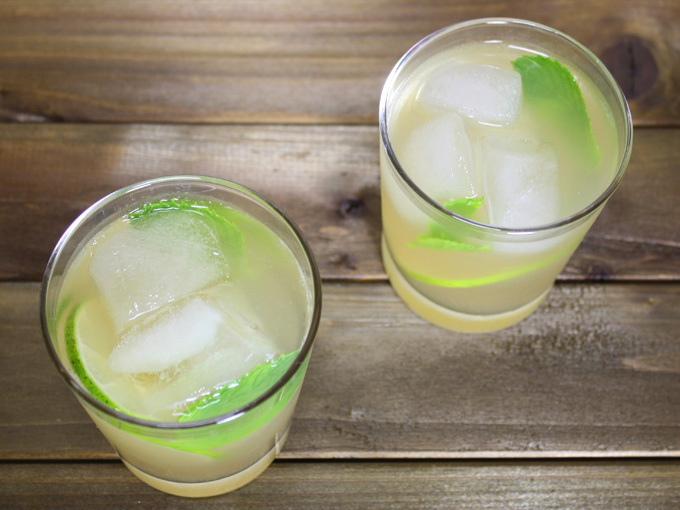 Mix together the lime juice, sparkling water (or regular water if you prefer it), and agave nectar. Pour it over a glass full of ice, and garnish with some mint leaves and a slice of lime.